It's been a while since my visit to Santa Monica's Third Street Promenade. I was both astoundingly fascinated and excited to see how much have changed since my yesteryear's visit here in this hip trendy area of the town. The city still attracts beach goers and world wide tourism, but they still kept much of its bohemian charm in many part of the city. 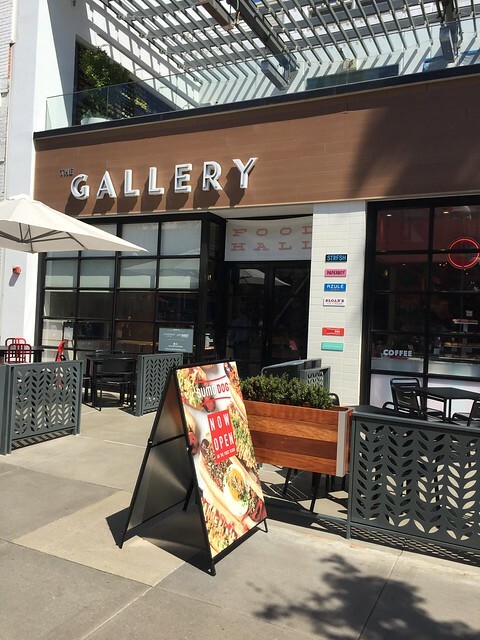 Gallery Food Hall on the popular Third Street Promenade presents a new hub for food lovers looking for the one stop everything dining options. Think of Costco for bulk buying or your local mall for everything and anything shopping. The Gallery Food Hall surprising also has some of the most well known chefs coming here to set up shop for their stands. Here are some of the dining options available. Sumo Dog was popular among the vendors in the Coachella Music festivals in many years. 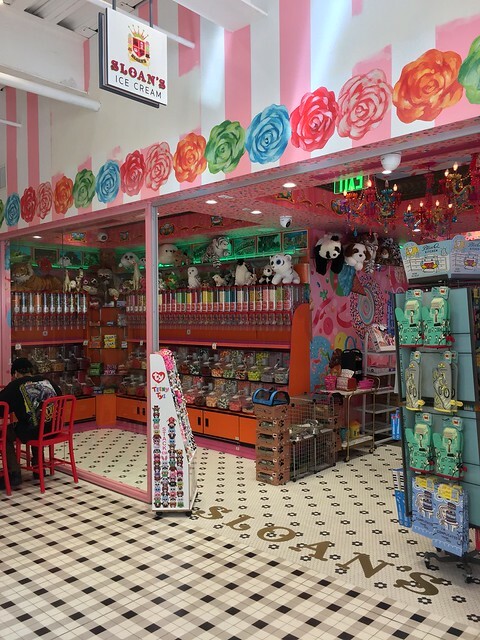 Now with a new brick and mortar location in Santa Monica's Gallery Food Hall on the popular touristy attraction area, anyone can enjoy the offerings without going to the music festival. Their big attraction is obviously their hot dogs infused with many of their popular condiments, but also their unique takes of infusing some of the ingredients from Asian influences. Their take on the rice tots (not potato) is a must get if you wanted something new. Their former location was at a Koreatown place along busy stretch of Vermont Avenue I have visited before. This location is much better suited for the clientele and fans they are hoping to attract. Oh, one big addition amidst the current time, they are also offering burgers now. 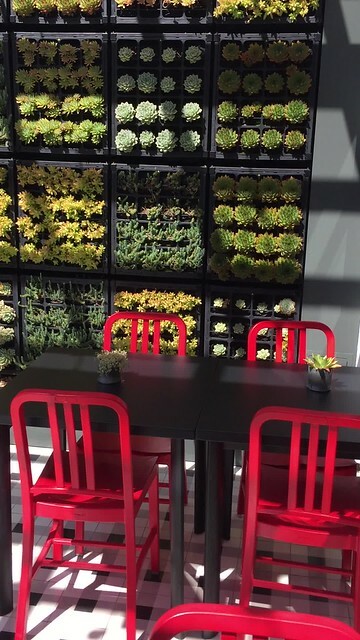 One of the offering at Gallery Food Hall on Santa Monica's Third Street Promenade. Strfsh is from Voltaggio Brothers who are Top Chef Winner and Finalists in Season 6. 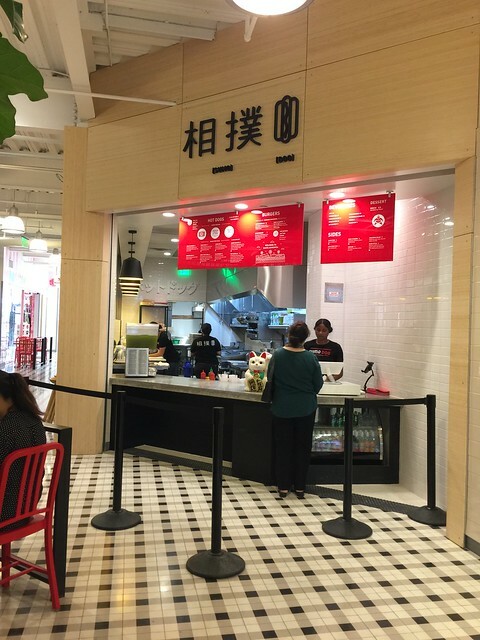 Michael and Bryan Voltaggio are introducing this fast casual fare on the 2nd floor of the Third Street Promenade's newly remodeled food hall. The best ones I got was the Swordfish sandwich and Salmon sandwich. I also wanted to point in that these fries that accompanied the fish sandwich combo are probably the ones I would get by itself if needed. Go to the balcony patio tables and enjoyed the view of the happenings on third street. People watching have never gotten this good. This is one of the best attraction for a dessert place. It's perfectly situated right in the front facing the street. The fact that it automatically attracts the walk-in foot traffic and makes visitors visit other part of the Food Hall will be a benefit to everyone. 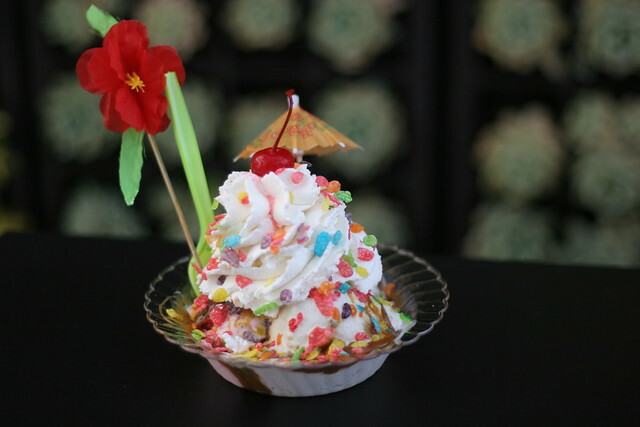 Sloan's Ice Cream has other delightful desserts that a whole family can enjoy. It's worth mentioning in that the type of crowd on the first floor tends to give the family atmosphere with their own outdoor veranda. While the 2nd floor has an unique situation where the dining fare tends to skew towards on the sophistication side. Interestingly, there are other future dining options plans to open in The Gallery Food Hall. That also includes a pizza place next to a gourmet taco place I mentioned earlier (Azule Taqueria) and an open space next to Sloan's Ice Cream. Oh, here's a kicker, the fine dining tasting menu oriented restaurant Dialogue opened by the Alinea alumnus Dave Beran is opened there too. So you can see, this food hall has a bit of everything for anyone who just wants to eat. There are just so many options to choose from and many exciting things happening at this particular hub center for dining options. Once it complete the space, this will be the one stop for the dining area for all foodies alike. Best part for any tourists from out of town? It's only only 12 minutes walk to the beach and minutes from all shopping stores. Can we say "win win"?